The Sif North Atlantic Rescue Timer (N.A.R.T.) 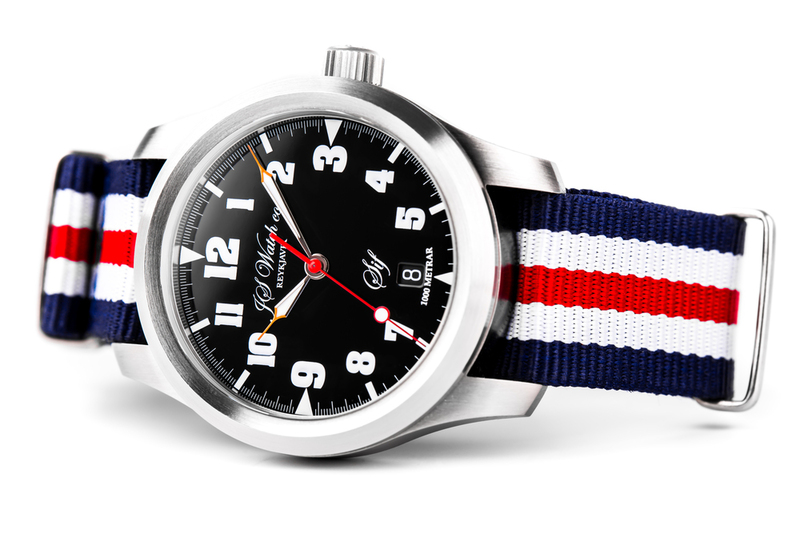 is a classicly-styled rescue watch which is water resistent to a depth of 1000 meters. The Sif is modestly proportioned at 40mm. 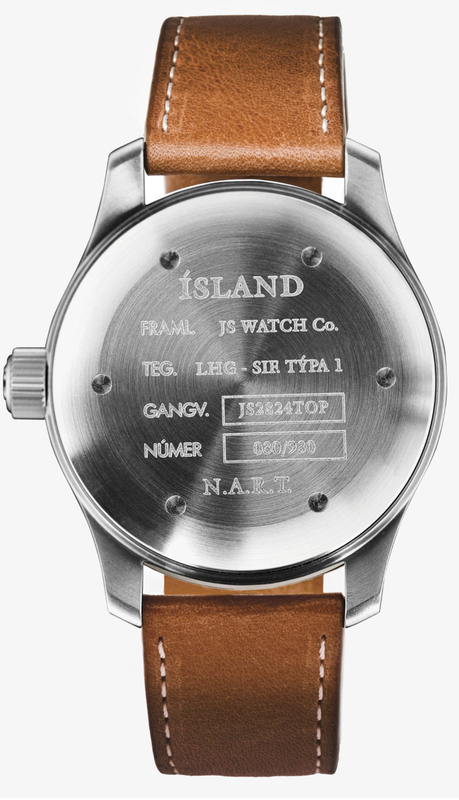 The remarkably clean dial design and robust construction has made it a treasured possession of the fearless men and women of the Icelandic coastguard. It has a Swiss Made Mechanical movement “Execution Top” with Automatic winding, 25 jewels, Custom decorations, Blue screws and Rhodium plated finish. Surface finish: Brushed Steel or Black PVD coated. 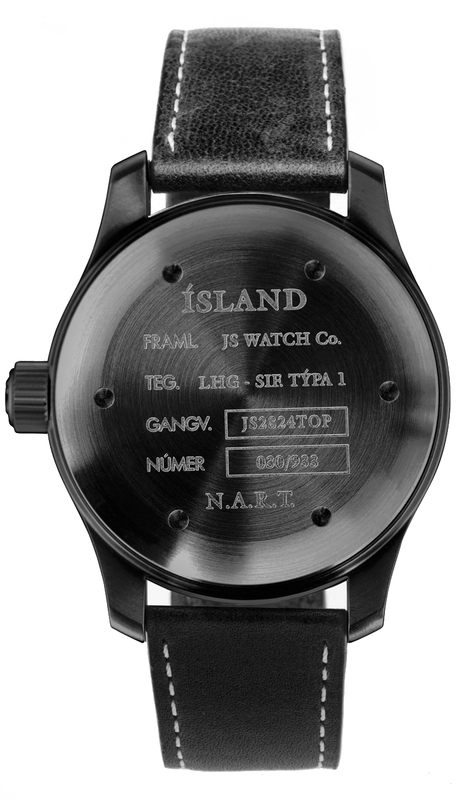 Black Matt with Arabic numerals, Special Icelandic Coast Guard design. 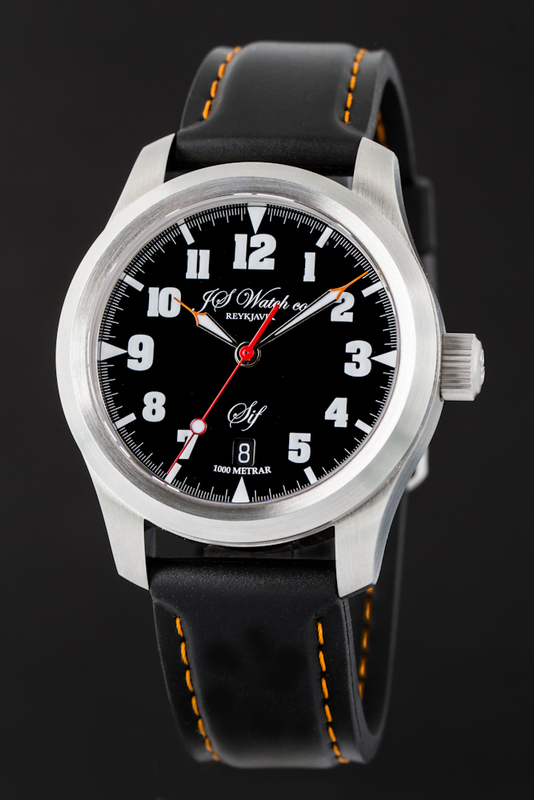 Rhodium plated with white Super-LumiNova and Orange tips. 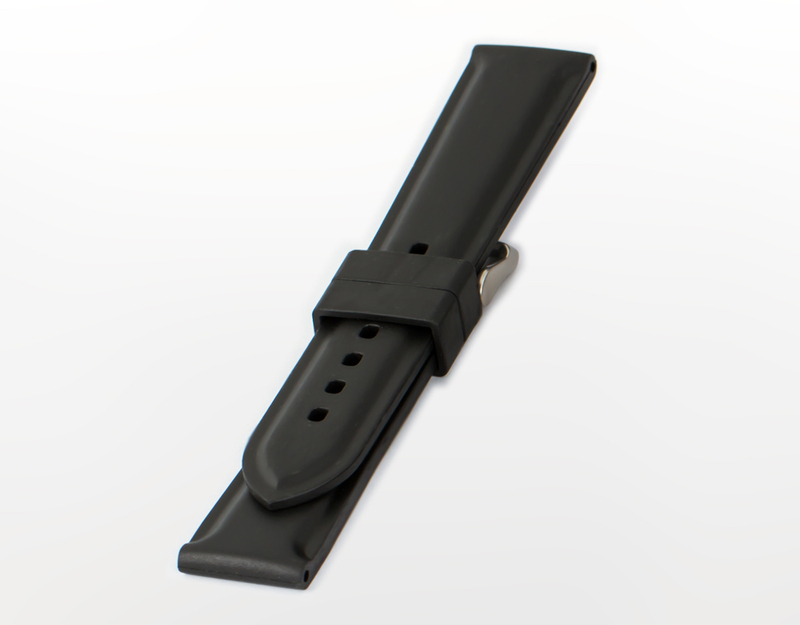 Handmade 20mm Calf skin, Rubber and Nylon straps with JS Watch co. Reykjavik buckle or optional deployment clasp. The comparison between the French songstress Edith Piaf and the French helicopter the Dolphin, Sif, might not appear obvious at first glance but any audience member who saw and heard the songstress perform, never forgot the incredible power and energy stemming from this small and feeble artiste. Her captivating and powerful voice could fill the largest concert halls. The same could be said for her fellow country creation, Sif. It seemed light and small when it took off to challenge the windy seas and winter storms, but under the control of its well trained and experienced crews, it accomplished incredible rescue after incredible rescue on the Icelandic coast and the North Atlantic. The stories of these heroics are too many to recount here, but they live on in a multitude of articles and books. Arguably, the Icelandic people take more pride in their Coast Guard than in any other establishment. The Coast Guard has given our young republic an invaluable service. The men and women of the guard have time and time again displayed bravery, honor, knowledge, and patience while performing difficult rescues during horrendous storms and the giant seas of the North Atlantic Ocean. This courage was perhaps best displayed during the three "Cod Wars" against the British Empire. Our small vessels whent head to head with the Royal Navy's warships, playing with them like a mouse around a cat. The guardsmen pulled mischievous pranks on the British trawlers, right in front of her majesty's admiralty. They would cut the nets from behind the trawlers, making it impossible for the British fleet to fish, and frustrating the crews on the warships who were unable to make a countermove. The Coast Guard crews on the vessels: Ægir, Óðin, and Þór, were hailed as national heroes, capturing the hearts and minds of all Icelanders. The fishing area under Icelandic control has grown exponentially in the past few years and the Coast Guard has had to add many new vessels, helicopters, and airplanes to its fleet. But to memorialize the small, yet powerful, helicopter "Sif" (1985-2007), JS Watch has added a new star to its "fleet". We continue to strive to reach perfection with all our designs and our latest star will not disappoint. We are proud to introduce "Sif".